Farmi Vario 101 timber trailers feature an innovative module construction, which allows you to effortlessly customise your timber trailer and add accessories as and when you need them. 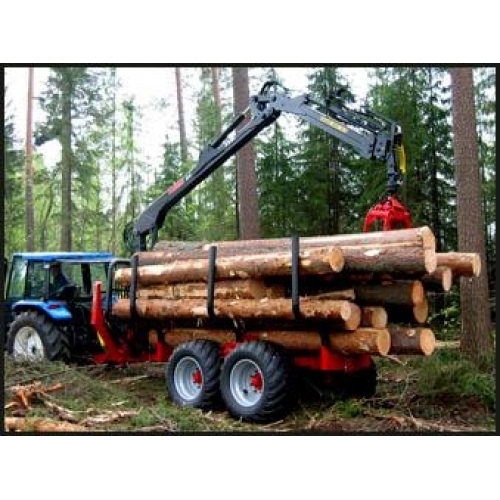 This means that you can adapt your trailer for individual tasks or jobs, in turn increasing productivity and efficiency. 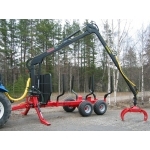 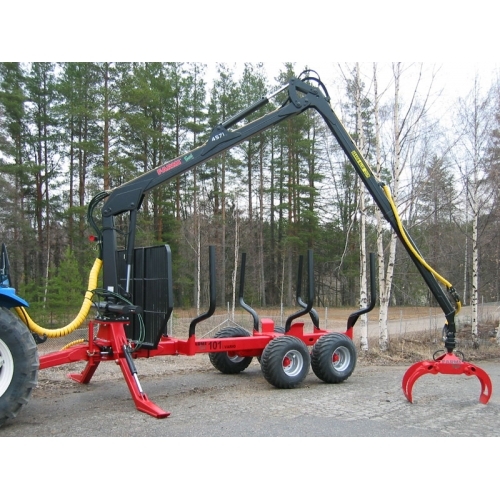 The trailers slewing device is equipped with four cylinders which guarantees plenty of slewing torque and a wide angle joint that enables excellent working geometry and better centralizing. 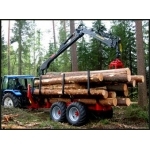 The Farmi Vario 101 timber trailer has a hexagonal extension boom which provides a strong and rugged structure, and comes fitted with flap down support legs for stability, and a fully floating tandem bogie (adjustable in both directions) that ensures excellent maneuverability on all kinds of terrain. 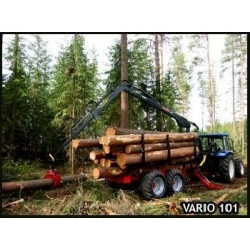 The Farmi Vario 101 timber trailers can also be fitted with 19 kN (1.9 ton) 4 wheel drive if required.